SD-WAN can be a natural progression for enterprises facing a network infrastructure upgrade. 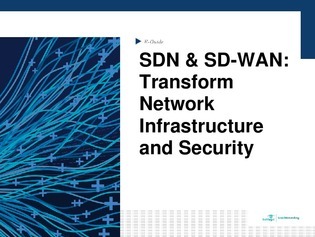 But a refresh with SD-WAN deployment requires a lot of forethought before jumping in – especially where network security and ensuring reliable branch connectivity are concerned. Plus, explore a Q&A with CIO Matt Minetola about how his teams over at Travelport Mindset underwent a digital transformation journey.